Play by Louise Helfgott in consultation with George Walley and Barbara Pickett. While this play is based on various accounts of this fascinating individual’s life, it also includes some fictive elements inspired by his legacy. The play was born out of discussions held in meetings of the Yaburgurt Reference Group. In writing the play, Louise Helfgott acknowledges the stories and assistance provided by members of the group and consultation team. In particular, George Walley, Barbara Pickett, Elsie Ugle and Franklyn Nannup. The play was written following Australia Council protocols for producing Indigenous Australian writing. Whispering Leaves forms part of a series of artistic and cultural events to commemorate and honour the life of Yaburgurt. 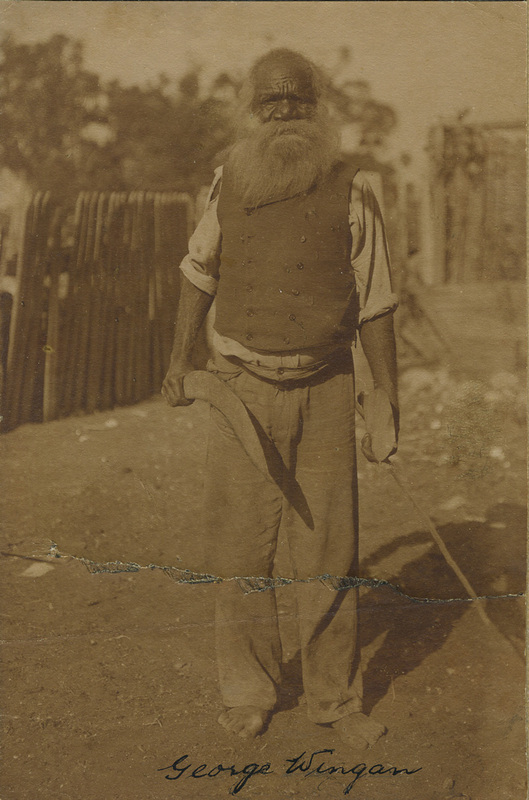 Through dialogue with his nephew, Yungap, Yaburgurt shares yarns from his long and influential life that spanned a period of tremendous change in western Australia’s history. Born prior to European colonisation, Yaburgurt survived the Pinjarra Massacre at age ten and live in and around the Peel region during its early colonisation development. He died weeks before Australia’s defining battle at Gallipoli. Feedback from audiences was gathered through a pre and post performance survey. The evaluation report can be found below.